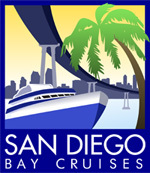 We at San Diego Brews Cruise want to make sure you have the time of your life! But in order to do that, you have to stay alive by not drinking and driving. After all, there WILL BE a LOT of fantastic beers to be had on our cruise and we’re gonna start your night off right by giving you the first 10 beer tasters to enjoy without opening your wallet! So, with the beer taps tippin’ and the beer a’flowin, we’d feel a whole lot better knowing that we can see you again on our next cruise. With that in mind, we’d like to offer you the following options to get you do the docks and back home without you gettin’ behind the wheel of your car while still on your happy little beer buzz. So, we’ll leave the drinking to you, if you leave the driving to us! As one of the proud sponsors of the San Diego Brews Cruise, we want to be able to offer you a fantastic evening and be able to get you there and back at the most reasonable rate than you’ll find from any other service! Here’s the deal; We’ll be staging vans by professional (and very sober) driers at the following locations. We’re likely only going to have one van at each location so be sure to call and make your reservation ASAP! We will charge a flat rate of $20 for a round trip ride to and from the Brews Cruise. That’s $10 each way and you’re not going to find a better rate from these locations from any other transportation provider. But you HAVE to make your reservations before each location sells out, AND you HAVE to get there on time! Because we’ll guarantee you this… the Brews Cruise waits for NO ONE! The Drunk Driver vans leave from the following locations promptly at 6:00PM (thats 1800 for you military and first responder folks). So, we suggest you arrive at each location and be prepared to board the van at 5:45PM (1745). Don’t be late or you will literally miss the boat! If you’re not familiar with Uber, or Lyft, they’re ride sharing programs that allow ordinary yet ambitious folks like you and me earn some extra income by using their own vehicles to drive responsible drunk people (like you and me) to and from where we want to go. Users download a free app on their smart phones that will summon the closest driver to their location. Moments later, a smiling professional driver will come and pick you up and bring you down to the docks. At the end of the evening of enjoying some of San Diego’s finest craft brews, you can log onto the app and get another driver to bring you back home safe and sound. Each driver and their vehicles are put through a application process with Uber and approved only upon a cleared background check to assure your safety. If the vans provided by The Drunk Driver are sold out or you’re not near one of the listed locations, Uber is a fantastic alternative… AND if you’re not already an Uber user, we’ll give you $20 in free ride, just to get you on board! From your smart phone, go to http://www.Uber.com/go and redeem this coupon code for $20 worth of FREE transportation. Depending on where you live, that just may get you there and home without any further expense!